The U.S. Federal Reserve runs the risk of diminishing returns from its next round of money printing to amplify the subdued economic recovery, but that won’t stop it from trying. 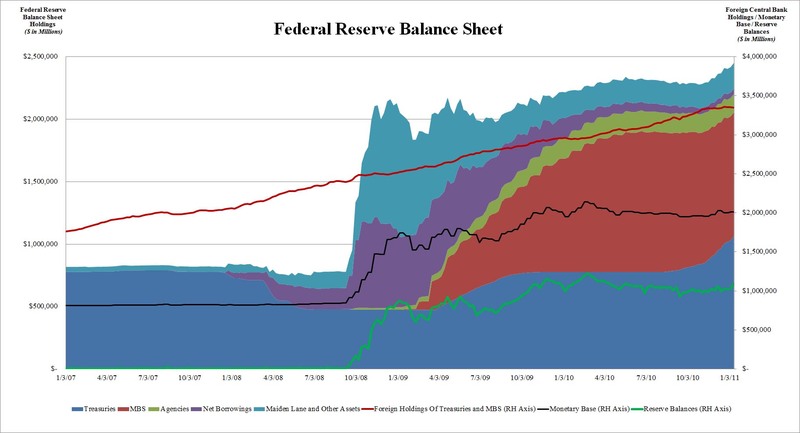 Minutes due Tuesday from the Fed’s most recent policy-setting meeting may reflect some divisions among officials over whether to launch another round of asset purchases, known as quantitative easing. Investors, however, assume the Fed will pull the trigger, likely at its next policy-setting meeting in November. A Reuters poll of 16 primary dealers—investment firms that deal directly with the Fed—showed all expected the central bank to return to buying bonds. All but one predicted the announcement would come at the Nov. 2-3 meeting. The Fed cannot sit idly by with unemployment stuck near 10 percent and inflation below the central bank’s perceived target, economists say. Statements from some of the Fed’s top officials in recent days have made it increasingly clear that action is likely, even though others remain vocally opposed. Great article on where we find ourselves as a nation, economically. Peter Schiff has been the most accurate of anyone I have seen. Since the US economy has failed to recover as widely predicted, pressure on the Federal Reserve to conjure a solution has increased. In fact, the Fed now faces the hardest choices in its history. It can either redouble its past efforts to re-inflate America’s bubble economy (risking the destruction of the US dollar) or it can stop pumping and let the economy deflate to a self-sustaining level. Unfortunately, both choices guarantee severe economic pain – but only one offers the possibility of ultimate success.